Jobs Description: PPSC Advertisement 03/2019 is listed below in our site. Visit our site to view PPSC Advertisement 03/2019. 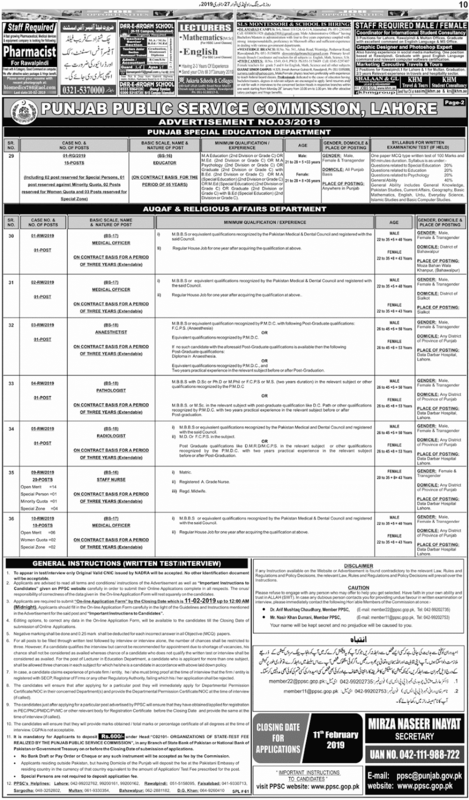 Punjab Public Service Commission recently announced an advertisement for Jobs in Agriculture Department, In The Punjab Public Service Commission, In The Punjab Treaty Implementation Cell (PTIC) of Human Rights and Minorities Affairs Department, Literacy & Non-Formal Basic Education Department, Women Development Department, Labour & Human Resource Department (Punjab Employees Social Security Institution), Punjab Special Education Department, and Auqaf & Religious Affairs Department. 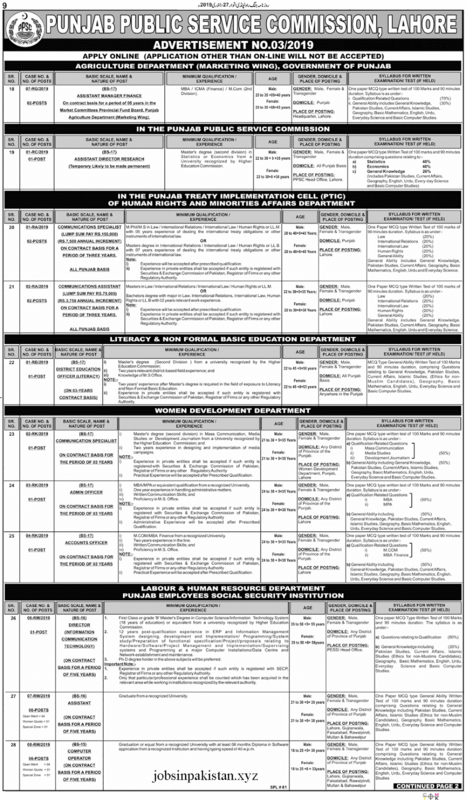 PPSC Jobs February 2019 is given below as per department name. Punjab Public Service Commission of Pakistan has required the applications for following jobs. How To Apply: The interested candidates may apply online through PPSC (Punjab Public Service Commission) official website. Applications other than online will not be accepted. Only shortlisted candidates will be called for Test and Interviews. Incomplete or late coming applications will be rejected by the PPSC.